If you’re keen to make things official, head for the WSET London Wine & Spirit School (020-7089 3800; www.wsetschool.com). Many of the country’s top sommeliers trained there, but enthusiasts are more than welcome. Start with the one-day foundation course (£145)-you can follow it with the three-day intermediate course (£385), an advanced course (£665) and diplomas. Classes are held across the country and online distance learning is available. The Devon Wine School (01398 331192; www.devonwineschool.co.uk) run by Master of Wine Alastair Peebles and his wife, Carol, offers a variety of courses held at Darts Farm, Topsham, near Exeter, where you can work towards WSET qualifications. The one-day introduction to wine costs £155, including a buffet lunch. Scotland’s leading wine writer Rose Murray Brown (01334 870731; www.rosemurraybrown.com) runs three- or four-part courses in Edinburgh, Glasgow and St Andrews throughout the year. Her sessions are famously relaxed, but not lightweight-expect Powerpoint presentations and folders full of notes. ‘Enjoying Wine’ is aimed at complete beginners, and a series of masterclasses caters for those with some tasting experience. Cambridge Wine Merchants (01223 568989; www.cambridgewine.com) runs a WSET-approved programme of courses from its home town and in Oxford, priced at £135 upwards. The cheerful, knowledgeable tutors will even come to you. 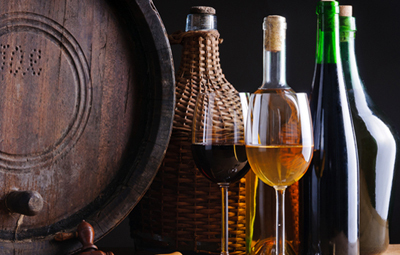 Finally, if time is of the essence, make your way to Berry Bros & Rudd’s 300-year-old cellars beneath St James’s Street for the comprehensive One-Day Introductory Wine School, which costs £249, including a four-course lunch (0800 280 2440; www.bbr.com). If you’re serious, you’ll need to taste as many good wines as possible. South Kensington institution The Sampler (020-7225 5091; www.thesampler.co.uk), which also has an Islington branch, allows budding oenophiles to do precisely this without taking out a second mortgage. Ten enomatic vending machines dispense measures of everything from quaffing reds to Château Pétrus. Stray corks are pounced on by Ivy, the resident border collie. In Mayfair, newcomer Hedonism Wines (020-7989 0085; http://hedonism.co.uk) has a similar set-up and can be booked for private tastings. Three-times International Wine Challenge trophy-winner Camel Valley is at the forefront of the English wine renaissance. Anglers can make for the River Camel and birdwatchers will be in heaven beside the lake. Book onto the Grand Tour and Tasting, which begins with an introduction to the ins and outs of the vineyard year and a question-and-answer session with one of the winemakers. Accommodation comes in the form of two barn conversions. Self-catering from £400 a week.